U.S. Sen. Bernie Sanders and his wife Jane pose for a picture with a supporter in Philadelphia. Sanders make a surprise appearance at the Missouri delegation's breakfast on Tuesday. 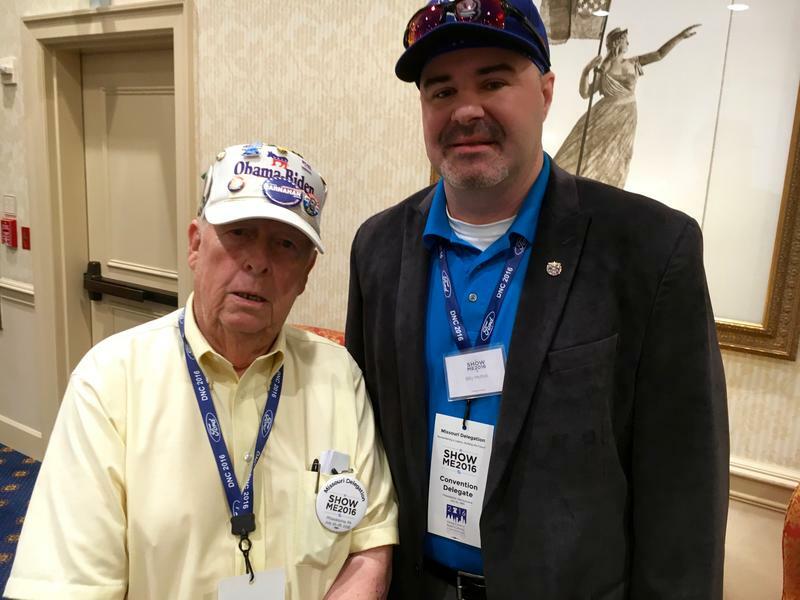 Iron County resident Ralph Trask and Raymore resident Billy Moffett pose for a picture on Monday in Philadelphia. Both men supported Bernie Sanders' presidential campaign. 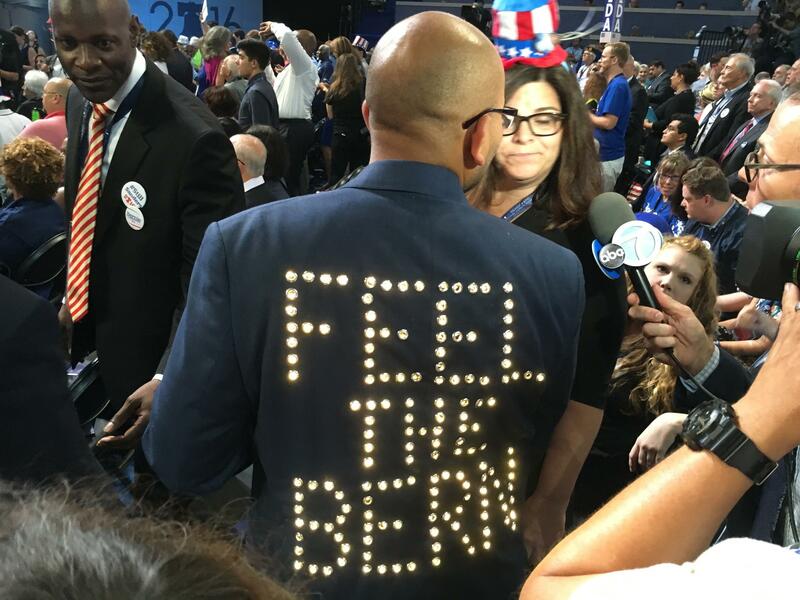 A Bernie Sanders delegate sports a "Feel the Bern" jacket at the Democratic National Convention. St. Louis Public Radio reporter Jason Rosenbaum discusses Day Two of the Democratic National Convention in Philadelphia with St. Louis on the Air host Don Marsh. While relations within the relatively evenly split Missouri delegation have been very civil compared to other states, Trask says he has some big reservations about the presumptive Democratic nominee. 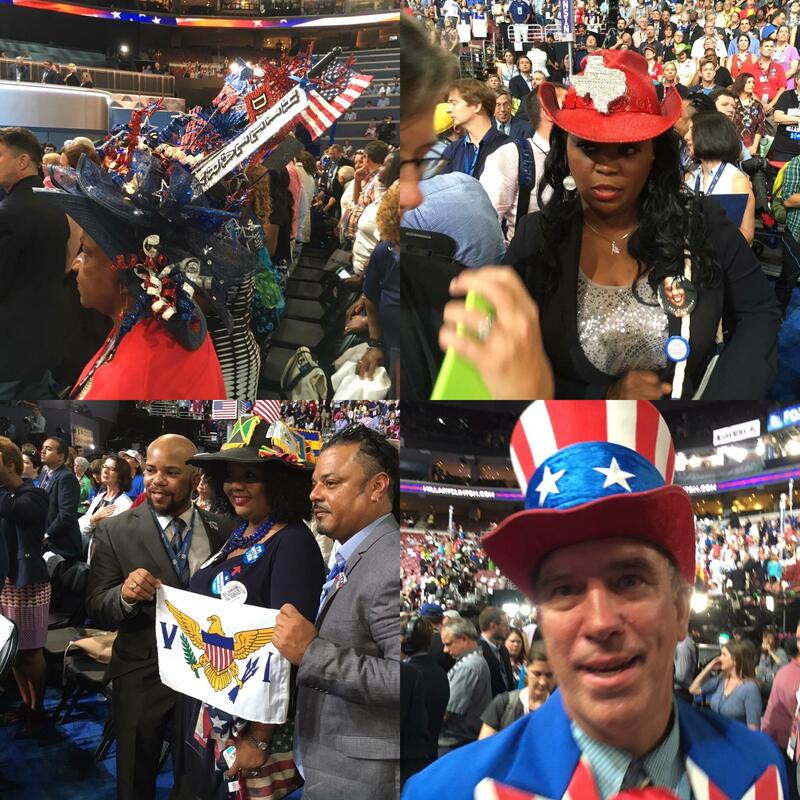 Delegates at the Democratic National Convention sported some very elaborate hats. Not every Sanders supporter in the Missouri delegation expressed sentiments exactly like Trask. 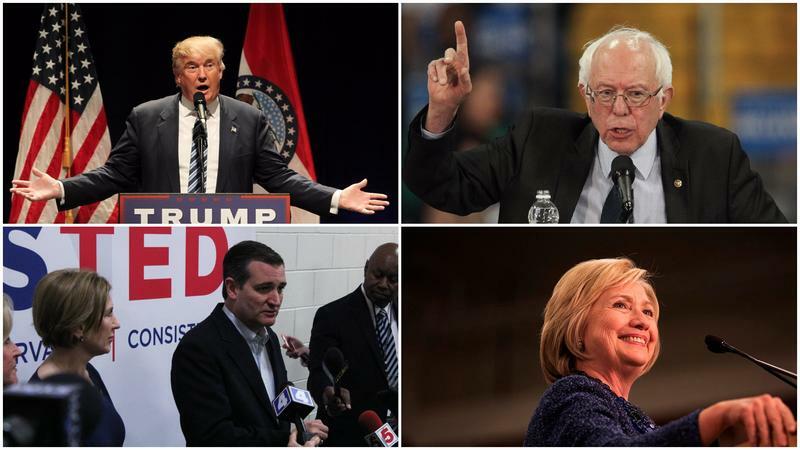 Many are using his campaign as motivation to get more involved in politics. And unlike certain GOP presidential hopefuls, Sanders offered an explicit endorsement of his former challenger. In fact on Monday night, he told his supporters at Wells Fargo Center that "Hillary Clinton must become the next president of the United States." Sanders echoed that message on Tuesday morning when he made a surprise appearance the Missouri delegation's breakfast. He said to the crowd that "our job right now is to make certain that we defeat somebody who is the worst presidential candidate of my lifetime." "Donald Trump is a disaster for this country and all of us have got to do everything that we can to elect Secretary Clinton," said Sanders, a statement that received applause and shouts of 'thank you Bernie.' "I look forward with working with all of you. And let's go forward together." For Raymore resident Billy Moffett, that gives him a pretty straightforward choice in November. 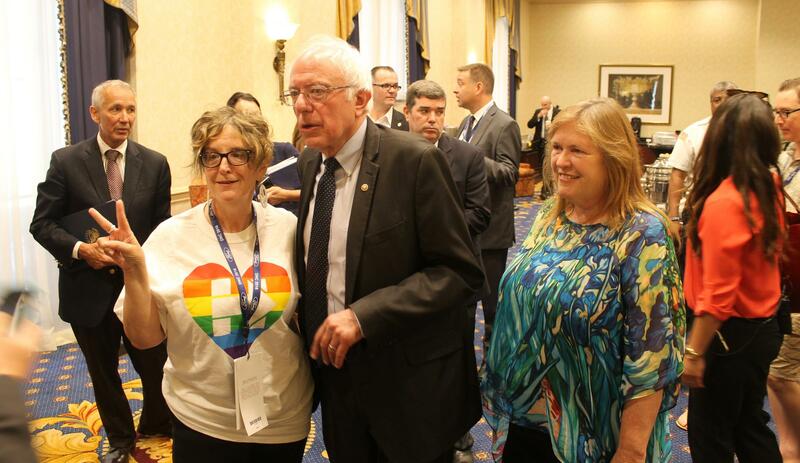 Sanders made a surprise appearance at the Missouri delegation's breakfast on Tuesday. 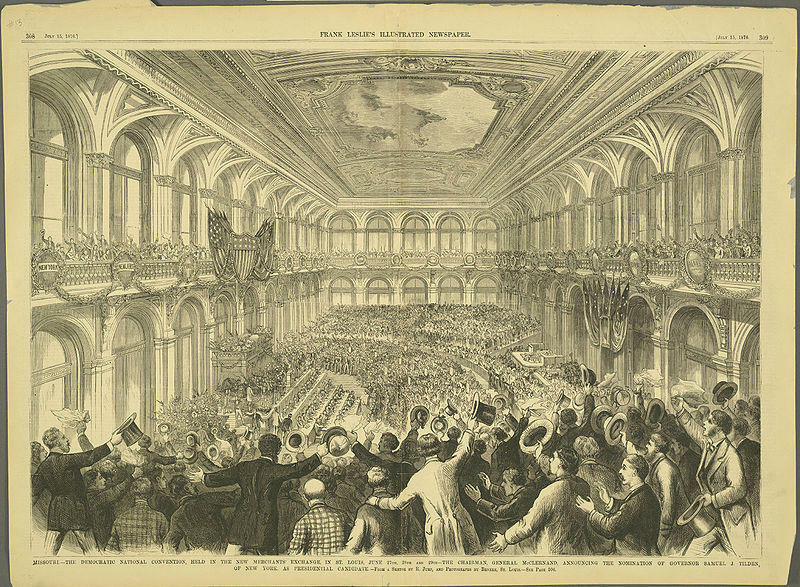 The above audio contains his remarks to the crowd. Some Sanders supporters are looking at the bigger picture and at getting involved in local and state legislative races to provide momentum to his slate of policy goals. One of the people in that category is Curtis Wylde, a professional wrestler. 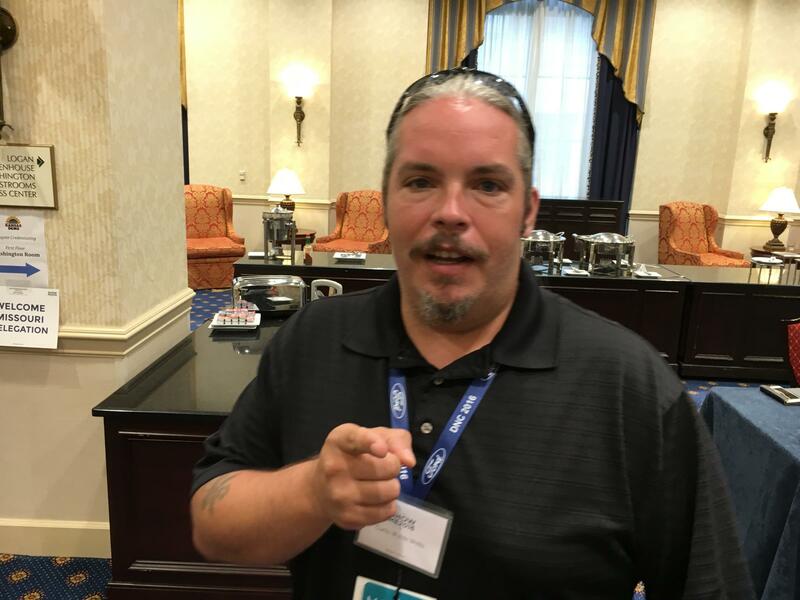 O'Fallon resident and Sanders backer Curtis Wylde recently won a Democratic National Committeeman post. Wylde is a professional wrestler by trade who is running for a state representative seat. Wylde, who is also seeking a state representative seat in St. Charles County, said Sanders’ candidacy moved the Democratic Party on a number of key issues – such as trade, the influence of Wall Street and college affordability. That, he said, is a major accomplishment. St. Louis Alderman and Sanders delegate Megan Green said Sanders’ strong performance in out-state Missouri should provide some instruction for the state party. She says it shows how a populist message can break through in areas that are tough for Democrats. 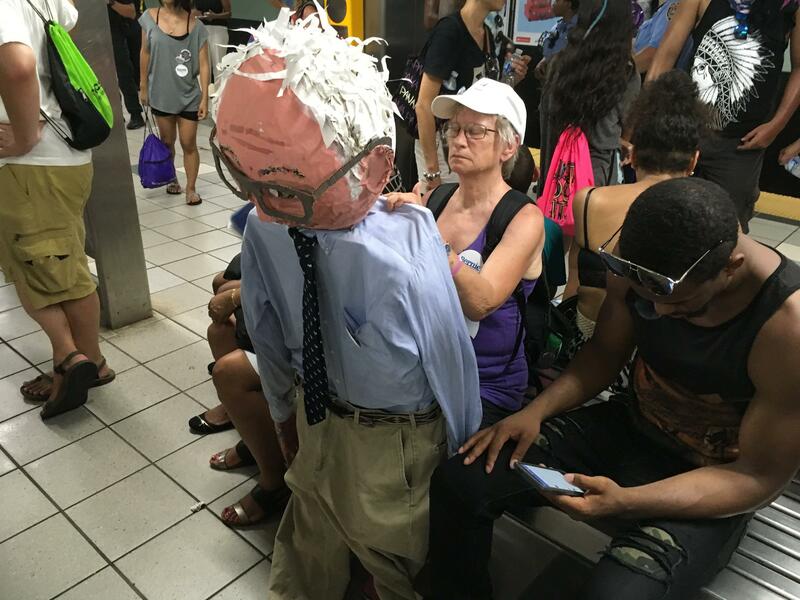 A woman holds a paper mache version of Bernie Sanders while waiting for the subway in Philadelphia. Before the convention gaveled into order on Monday, two Clinton supporters used a morning breakfast to make direct appeals to Sanders backers in Missouri. 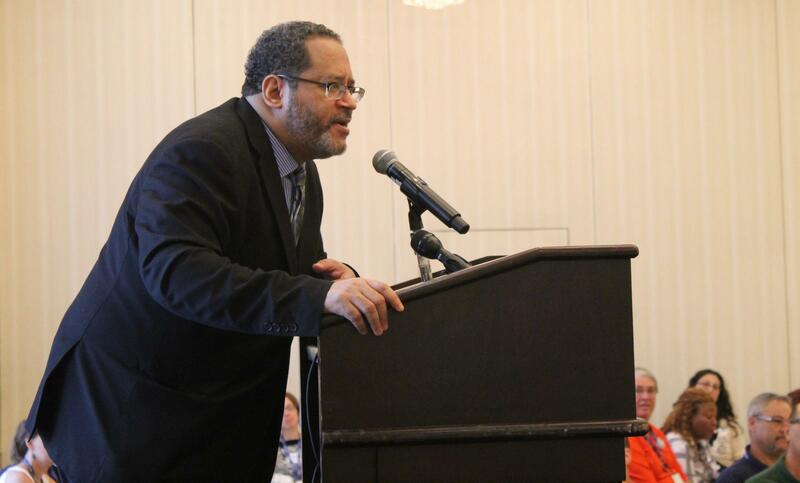 Michael Eric Dyson was the keynote speaker for the Missouri delegation's Monday breakfast. In a rousing speech, author and television personality Michael Eric Dyson alluded to the release of unflattering emails that led to Wasserman Schultz’s departure. He joked that before the explosion of the Internet and social media, people would “gossip on you” without leaving an electronic paper trail. “This is what happens. We are not panicking,” said Dyson, who supported Clinton during the primaries. “Thank God for the last seven and a half years. We’ve had a very cool customer occupying the space that the next president of the United States of America and the first woman to made president of the United of States of America” will win. The above audio features Michael Eric Dyson's keynote speech to the Missouri delegation. “Now is the time to understand how to be graceful in forging connection with those with whom you formally disagree, but now you’re in the same party and you must move forward,” Dyson said. 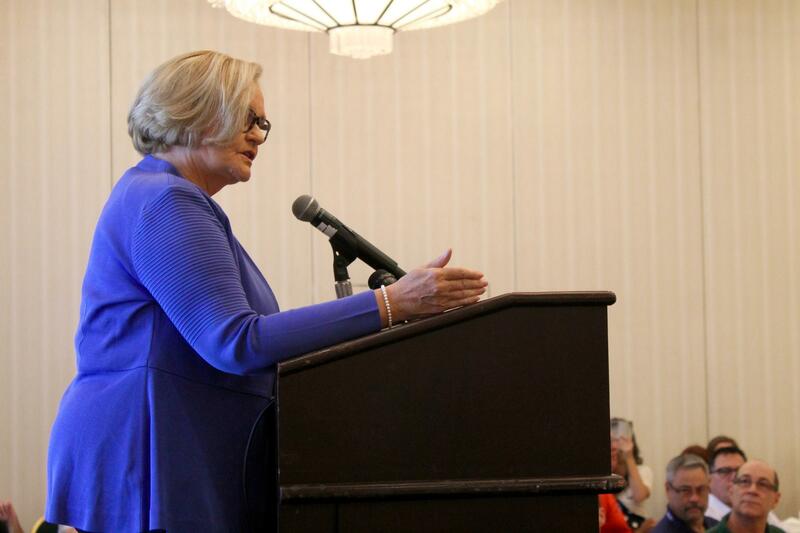 U.S. Sen. Claire McCaskill made a direct appeal to Sanders supporters at the Monday breakfast. McCaskill said after her address that Wasserman Schultz’s resignation was a positive thing for the party, “because now we can move on and get past this and get everybody together.” And she contended that Sanders and Clinton aren’t as far apart on issues as people think. For her part, Green said McCaskill “was a great step toward unity and really extending an olive branch to Sanders supporters,” adding that “we haven’t seen that type of olive branch from the Clinton campaign or from the DNC.” But among other things, Green added some Sanders supporters weren’t happy Wasserman Schultz was named an honorary chair for Clinton’s 50 state campaign. 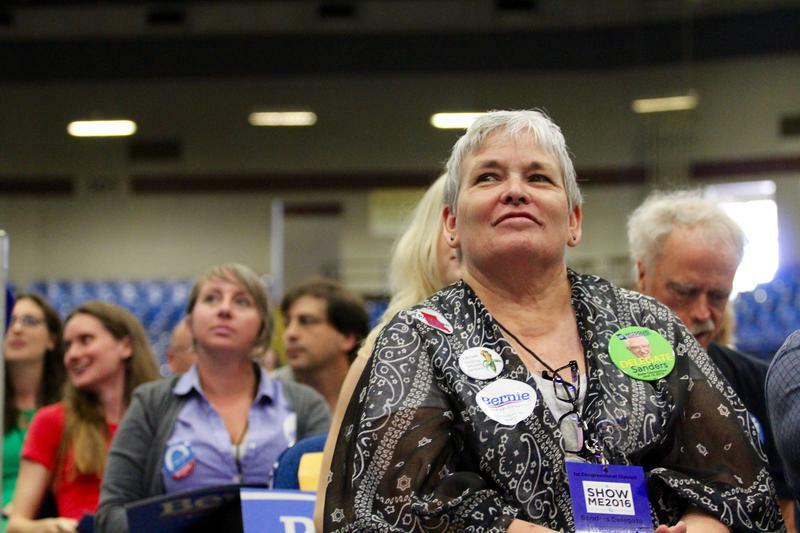 Whatever happens over the next few days, Clinton delegate Amanda Kelley said she hopes Sanders backers stay involved in the political process. That’s a certainty for Green and Wylde, who will serve as Democratic National Committee members for the next four years.